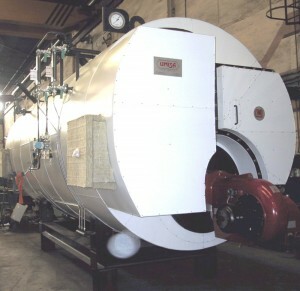 The conventional circuit is the type pirotubular three-pass boiler with horizontally arranged home firebox wet type. It is designed for operation with liquid fuels and / or gaseous. The recovery circuit comprises a single step of gases formed by the convection tubes. 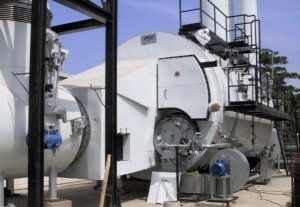 This allows greater flexibility in the system as steam production can work either with or gases from turbine engine, or conventional burner with the ambient air. O with both circuits simultaneously. 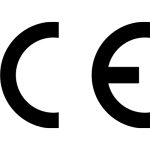 Boilers are horizontal position and designed for the use of liquid or gaseous fuels –conventional- and combustion fumes from an engine or turbine –recovery-. Our steam boilers are delivered and fitted with all accessories, on a support chassis made of girders, ready to start up after connection to steam, water, fuel and electricity. A design of its energy requirements and room in the client’s premises is available. Optimization in the thermodynamic design with a guaranteed return of around 90%. Modern manufacturing methods performed by highly qualified personnel and backed by years of industry experience. Application of strict quality controls at all stages of project development in accordance with the implemented Quality System Management ISO 9000. Final assessment by a Notified Body for “CE” marking of the steam boiler, according to European Directive 97/23/EC for pressure equipment. Minimum maintenance work once installed. Optimal design of combustion furnace for low levels of pollutants (nitrogen oxides and CO) meeting all important European standards. Optimal dimensional layout of the fume steps achieving balanced fume flow speeds and therefore high efficiency. Completely water-cooled fume reversal chamber with no refractory material contributing in the heat exchange. Properly sized steam chamber and vaporization plane to avoid the supply of humid steam. 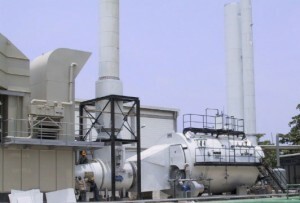 Steam generation is widespread, mainly in the industrial field. That is why the application of steam in industry requires adopting strict security measures in steam boilers. In this way, our equipment is manufactured with all regulatory safety features required by current regulations. It incorporates an electrical panel equipped with a PLC, providing basic information about the real state of the steam boiler functions. Upon request, we can install high performance PLCs, with appropriate communication cards, in the steam boilers, which can be integrated into existing distributed control, indicating the status of the generator (level, flow, fault, performance, etc.) in real time. 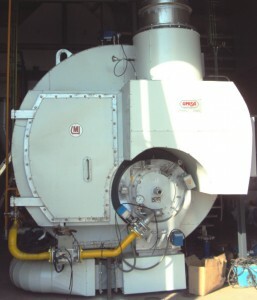 Steam boilers can be supplied with all necessary accessories to meet safety standards, with indirect monitoring every 24 to 72 hours, depending on TRD-602/TRD-604 and EN 12953-6: 2002, for widespread application in some European countries. Manufactured with all regulatory safety features required by current regulations. 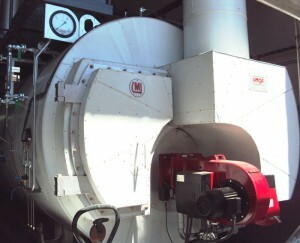 providing basic information about the real state of the steam boiler functions. Upon request, we can install high performance PLCs, with appropriate communication cards. The addition of heat recovery from the water/gas or air/gas before the evacuation of the fumes, allows an overall efficiency gain of between 93% and 98%.